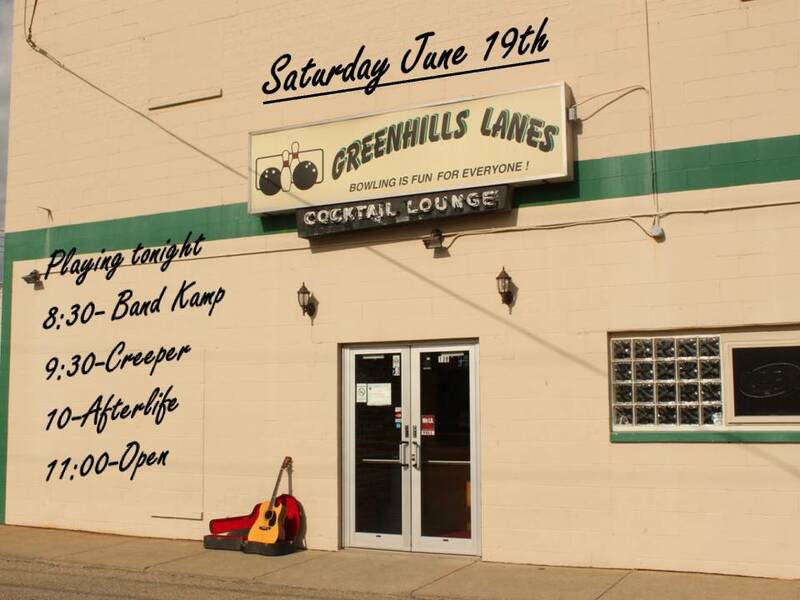 Saturday, June 19th, Greenhills lanes will once again host a summer jam/open mic night with Afterlife as the feature act for the night. Also, featured will be Band Kamp and Creeper. Bring your thirst, your appetite, and your love of music. As always, there is no cover charge. It's the best entertainment bargain in town. wow, just realized that this is this Saturday night.......I do hope to see a lot of people there! Wish I could get the other members of Daddy Longlegz together for the night. hmmmm, maybe I can? Any news on upcoming dates ? Started a seedling last night and want to see how this works out. July is going to be tricky but August for sure..
We'd be down for July. And probably August. Is this next one at the lanes or the pool? We are juggling vacations right now, Supa, I'm still trying to get commitments.